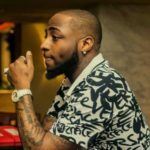 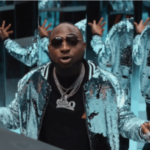 Davido continues his brilliant form in the US as two of his 2017 hit singles are doing absolutely well on the billboard charts and radio as well. 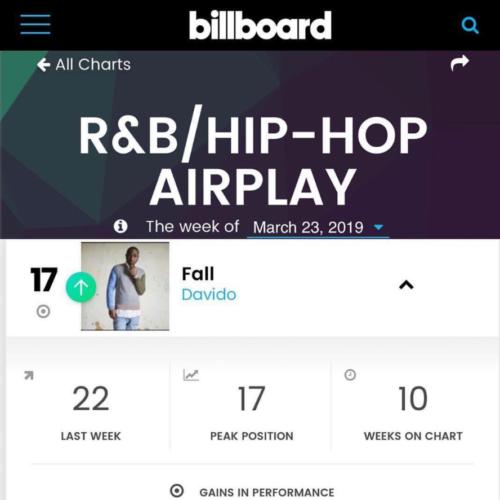 Remember we brought you news yesterday about “Fall” entering into the top 20 most played songs on US radio, the song has yet again done another wonder as it has now moved into Billboard’s top 20 of most played Hip-hop/R&B in the US after occupying the number 17th position. 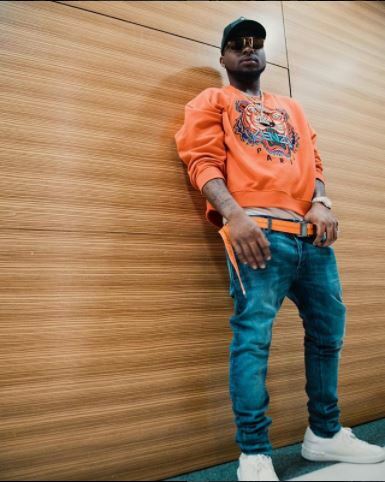 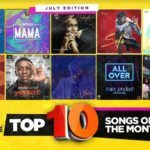 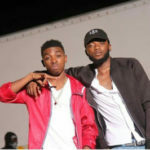 Davido shared the news excitedly on his Instagram page as he reveals confidently that “Fall” will be looking to break into top 10 next week. 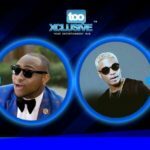 That’s a daring ambition, isn’t it?